Inspired by the old tin can telephone or 'lovers telephone' this spun copper pendant light pays tribute to a time gone by. In 1664 Robert Hooke experimented with sound transmission through a distended wire. Mr. Cooper celebrates this era of invention and observations. The shades are designed to be hung in a cluster, cascading from a single ceiling plate and hooking to various points using copper crimps. The swage lines reference the ridges of a tin can as well as adding rigidity and detail to the form. 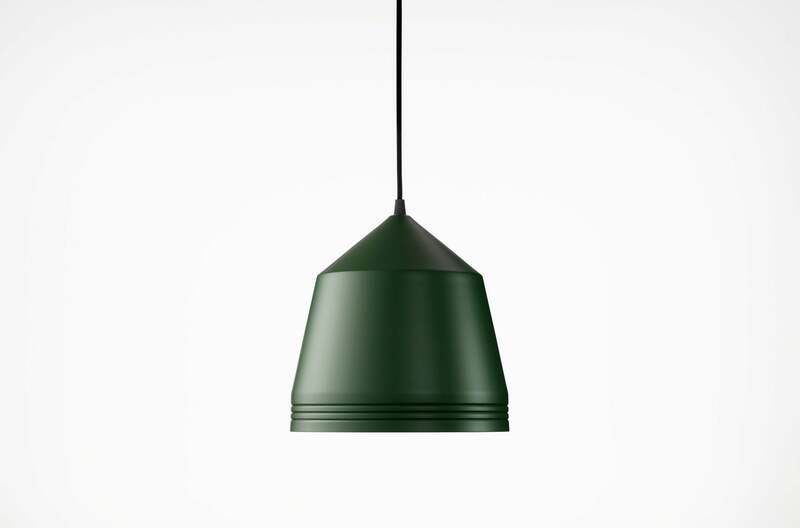 We offer free delivery on Cooper pendants.